He paused, shrugged his shoulders and opened the outer office door, making sure it remained open behind him. Another scorching day, the sun blazing in a brilliant blue sky and the heat-haze shimmering over the sticky tarmac of the car park. Even the brief walk from his vehicle had made his shirt cling to his back. For once, it would be pleasant to spend the day in the coolness of the underground and air-conditioned workspace. He tugged off his sunglasses with a sigh of relief. ‘Alone, Commander? Is everything all right?’ Miss Ealand gave him a look of concern. Dedicated to: ‘The London Five’. I’m back. He’s back. Not sure which of us is the happier. 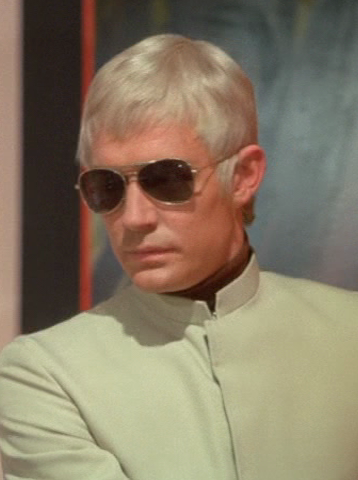 ‘Time.’ Straker glanced around the Control room before swinging the microphone around and leaning forward to speak. ‘All sensors to maximum. All stations Red Alert.’ A satisfying silence. No unnecessary noise, no distracting replies, just a well-trained workforce in action. Foster looked up from the satellite image he was studying. Penumbral lunar eclipse. Not uncommon, but with solar activity rendering the Antarctic satellite system temporarily out of contact, the whole continent was an open target for any UFO fortunate enough to get past the lunar defences. Straker stood there, arms folded and watching as satellite images displayed the lunar surface turning red, Ford concentrating on the sensors, head tilted to one side as if he was listening to some faint, far-away sound, Foster tapping his fingers soundlessly on his thigh. Alec, out of contact at the other end of the world would be listening as well. Straehk reached the end of the path and turned to look back. This season’s crop promised to excel even his expectations, the fields full, the plants weighty with enough seed to keep the colony provided for next year and beyond. He had done his last walk-through just an hour before, trailing fingers though the heavy-headed ears of grain. Dark golden and ripe, they bobbed under his touch. It was only right that he should feel a sense of achievement in his work. Not pride, just satisfaction. A job well done. He would begin harvesting in the morning when the crew arrived, but his work here was completed and he could rest for a while. Where had it gone wrong? How had Straker escaped from his captors? As Mason hunched there on the greasy oil-stained concrete floor, yet another question burned into his mind. Where was Straker now? If he was out there, alive, he should have emerged.